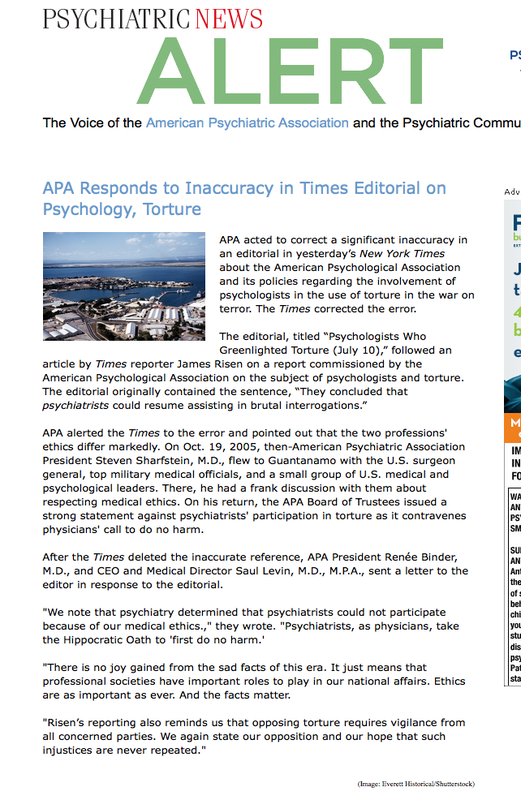 The ethical position of the American Psychiatric ( APA) Association and the code of ethics for psychiatrists about torture came to prominence about 10 years ago when I was Speaker of the Assembly of the American Psychiatric Association. At this time the Assembly endorsed the position of the Board of Trustees of the APA about this issue. Recently this topic has surfaced again as described in the article below in the the APA News . 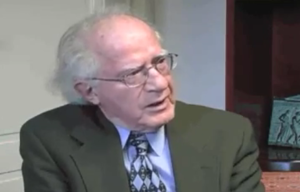 I would suggest that this article should be read and then for further clarification I would like to present a video interview that I had in 2009 with the late Dr. Abraham Halpern. Dr. Halpern was a prominent American psychiatrist who was leading spokesperson on number of ethical issues. Please feel free to add any comments that you have about this subject in the comment section below and they will be published shortly.